Volusion and Squarespace are two popular web building platforms used by dozens of millions of users across the globe. Volusion is oriented towards online store creation, while Squarespace is a universal website builder that allows for the development of different types of websites – from simple promo sites and landing pages and up to powerful blogs. Volusion is more difficult to master, but it offers more extensive eCommerce options. Squarespace is simpler to use even for newbies, but it also provides options to create full-featured online stores. In this post, we will define what service works best when it comes to online store creation – Squarespace or Volusion. Note, that this comparison shows eCommerce features of these platforms, but not a versatile. So, let’s get started. Volusion. It’s difficult to call this website builder easy to use. It looks quite understandable after the registration. Having got access to the Storefront, just choose the template using the wizard, upload company logo, add products, customize the design and menu of your future website if needed and select the plan (this step may be omitted due to the availability of the trial version). However, these steps may be quite challenging for a newbie. There are many options, charts and settings at first sight here. You will need several days to master them properly. 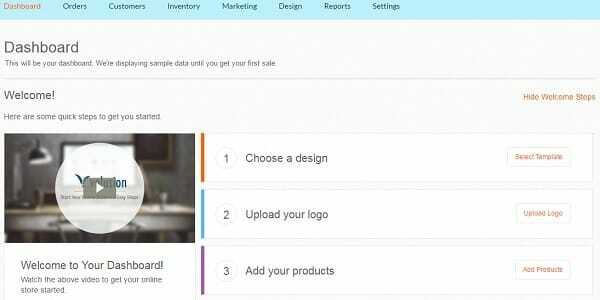 This can make the creation of an online store with Volusion a time-taking process, especially if you plan to sell dozens of products. Squarespace. The platform is much simpler: just choose the design (there is a separate template group for online stores), register, upload logo, name and description of a website and… that’s it. You can customize the design and positioning of website elements in the opened window as well as add products and their descriptions, specify payment and shipping settings. The process is simple and intuitive. Dashboard elements are grouped to help a user understand, where to look for the required settings. As far as we focus on online store creation, you’ll initially get access to eCommerce settings, where you can manage orders, add new products and set up discounts. Volusion vs Squarespace. Squarespace is a better choice than Volusion from the point of view of the ease of use. Intuitive visual editor and understandable settings make it convenient for quick creation of an appealing online store. You’ll need much time to master Volusion instead. However, if you plan to develop a large online store, then it makes sense to use Volusion. Abundance of special tools makes it possible to create a powerful online hypermarket for any amount of products. Volusion. The major Volusion benefit is a rich amount of eCommerce features. 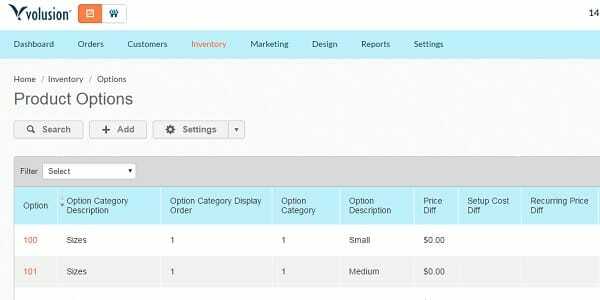 Detailed settings make it possible to set up each product individually, edit shipping settings, specify suppliers and manage stock products. Apart from that, Volusion offers powerful analytics system you may use to track website traffic as well as to analyze sales indexes, TOP selling products as well as economic indexes like ROI. CRM – the system of order management that makes it possible to track website sales from the moment of product purchase and up to its delivery to the customer. Drop Shipping – an opportunity to attract partners to sell your products. ROI Tracking – tracking of ROI tool, which shows the payback percentage. Admin Social Management – an option of managing online store social accounts right from the dashboard. Sell on Facebook, Ebay and Amazon – the tool used to organize sales through social networks and online stores like Amazon and eBay. Squarespace. One of the major Squarespace advantages in the process of creating eCommerce websites is their convenience for a customer. The website will be easy to use both on a desktop and on any mobile device. Apart from that, Squarespace comes with powerful blogging functionality. Even though an appealing blog is not a must-have for an online store, its availability is an extra source of customers attraction and their retention at the website. Product Import – an opportunity to import products from other services: Shopify, Etsy, Big Cartel etc. Express Checkout Mode – an opportunity to make purchases without website registration. This option is very convenient, when an online store sells one product only. Abandoned Checkout Recovery – email messages about abandoned carts. This is convenient, if a customer has added a product to the shopping cart, but has left a website without purchasing anything. Xero Integration – an opportunity to prepare XERO accounting reports. This option is available for the US users only. Multiple Currencies – an opportunity to sell products in the currency of the country the customers are from. As of today, Squarespace supports 21 currency types. Stripe and PayPal. Squarespace integration with Stripe and PayPal gives a chance to buy a product in one click only by using a credit card or a PayPal account. Volusion versus Squarespace. When it comes to the amount of eCommerce features, Volusion notably surpasses Squarespace. You can manage everything here, starting with design settings and up to super-detailed tax and shipping features. 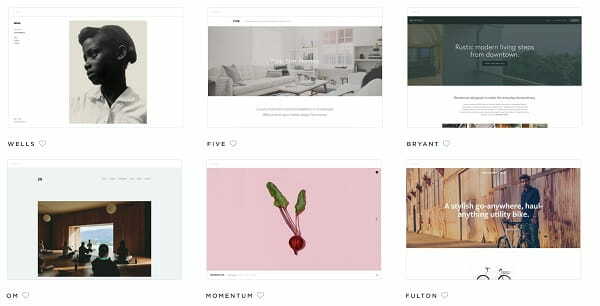 Squarespace puts emphasis on design – websites look more appealing here. Volusion. There are 49 themes in Volusion, 11 of which are free. 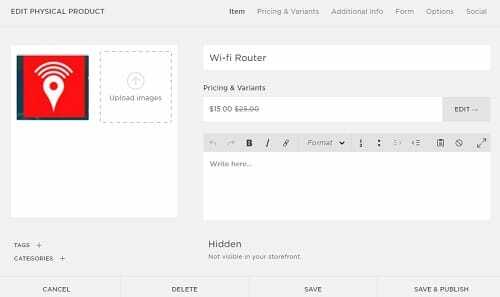 The cost of premium designs constitutes $180 per one theme. Volusion premium templates differ not only in the color scheme. They are really unique and come with versatile structure. A nice benefit is that any template (even a paid one) is customizable. You can edit both CSS and initial HTML codes, which makes it possible to add the required code elements, such as Facebook pixel, for example, to the website without any problems. Squarespace. Squarespace has 84 templates available to users, but only 14 of them are specially developed to create online stores. All the templates are free and there is an opportunity to sort them by industry. Apart from that, there is an option that lets users change the chosen template, while saving the content. However, its necessity is quite questionable from the point of view of a commercial project, because the process of online store creation is quite serious and the benefits of this or that design should be considered in advance. Volusion vs Squarespace. Squarespace has more benefits in terms of website design. Online stores created with the system are more appealing both on computer desktops and smartphones. They are convenient in the process of website navigation and making purchases. There is an option allowing to change the template “on the go”. Paid and free Volusion templates come with responsive design and can be customized to get unique design. Volusion. The major Volusion advantage is its Live chat, where you can get qualified assistance of tech support experts and eCommerce advisors. They can help users settle their financial, marketing and economic problems, offering step-by-step guidance and advising on the best choice in questionable situations. What’s more, Volusion comes with a powerful Help center to solve technical problems and Guides, where all useful recommendations for those entrepreneurs, who just start their businesses, are provided. Squarespace. Customer support of this website builder implies the availability of the knowledge base, video tutorials and community forum, where users help each other solve their problems. Volusion vs Squarespace. Volusion surpasses Squarespace in terms of convenience of communication with tech support. It’s possible to get assistance from the Volusion Live chat right from the start here. The chat window will be available throughout each service session. Volusion. Volusion pricing policy looks more democratic compared to that of its major competitor – Shopify (see review). You can create and manage an online store up to 100 products for $15/mo here. The most expensive premium plan that makes it possible to launch an online store with the unlimited number of products and to get an individual account manager will cost a user $135/mo (compared to $279/mo offered by Shopify). Optimal variants of paid subscription are Plus and Pro plans ($35 and $75/mo correspondingly), which make it possible to manage online stores with dozens of thousands of products. Squarespace. Squarespace pricing policy implies two plans for commercial websites, namely Basic and Advanced ($26 и $40/mo). Both plans make it possible to create online stores with unlimited number of products. The principal difference is that Advance plan supports Abandoned Checkout Recovery, Real Time Carrier Shipping and Automatic Discounts. Volusion vs Squarespace. The cost of launching a large online store with Volusion is worth the result obtained. What’s more, the cost of creating small online stores with Volusion surpasses that of Squarespace and constitutes $15/mo versus $26/mo. eCommerce options notably prevail here. Volusion is a powerful tool that combines the features of a website builder, CMS and CRM-system. It’s possible to create an online store with it to sell the unlimited number of products. Volusion is difficult to explore at first sight, but its convenient interface and 24/7 support make it possible to master the website builder with ease. Squarespace works better for newbies, who are just starting their online businesses, exploring the science of website building. Intuitive interface makes it possible to create an online store in less than a day. However, this website builder is not a good choice when it comes to launching large trading platforms. Thus, I recommend using Volusion, even if you plan to start with a small online store with the idea of developing it into a large-scale project in mind. With this website builder, the perspectives of your online store development are close to unlimited.